Can You Really Make Money With Your Smartphone? In many ways, smartphones have become miniature computers, offering many of the same features and advantages, while also being incredibly convenient. With this in mind, it shouldn’t be too surprising that smartphones are also promoted as a way to make money. In fact, when you get down to it, there are actually a lot of different ways to make money with your smartphone. The simplest way to make money with your smartphone is using apps. 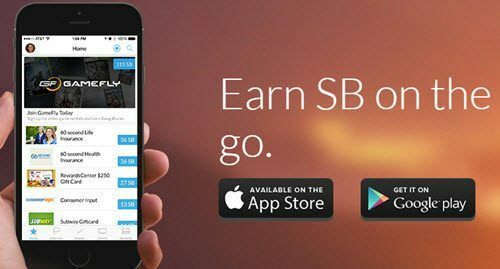 There are a number of apps out there that promote themselves as ways to earn money, although some are certainly better than others. Apps are also the logical choice when it comes to smartphones because they are specifically designed for mobile devices and tend to be pretty easy to install and to use. In most cases, you won’t earn a large amount of money from these apps but you may earn something. Below I'm going to talk about a few of these apps and how you can make money with them. Note: there are some online games that you can use to make money, but I'll cover those in another post since making money through gaming can be quite complicated, and requires its own set of research! This is probably my best idea, so I'll get it out of the way first while I still have your full attention! Instagram can be used to make money, but not in a straightforward way. If you use Instagram, then you know they don't have clickable links in the photo description or comments. Each user only gets one clickable URL in their profile. At the same time, Instagram is a very powerful way to build a brand based just on photos from your phone. In fact, they don't all you to upload images from your computer! With editing apps, filters, etc you can create some really fun photos and videos right from your phone. Once you have a big enough following you can garner sponsorships for certain posts. Follow any foodie blogger on Instagram and you'll see lots of promos for diet pills, exercise programs, or food subscription services. Of course, you need a big following to get that kind of attention! Pick a topic like a specific dog breed, Crossfit, or other visual topic and get snapping! Follow related accounts, comment on their pics, and get your own followers by being social. Another great way to make money from your Instagram account is to add an affiliate link to your description. I'll describe more about affiliate marketing below, but in a nutshell this “affiliate link” gets you credit for sales made. You can make a commission for promoting products. So if you have a following of 5,000 people, you can do a post about product XYZ and just say “link in the description”. A portion of your followers will be interested enough to go to your profile, click the link, buy, and you'll make money! Of course you can make much more money by having a website to supplement (and advertise) your Instagram account. More on that below, so keep reading! The most common approach are apps that earn users cash back when they shop. With this type of app, you do make money but you have to spend it first. As such, this isn’t an especially good way to make money, unless you aren’t spending any more than you would normally. One example of this is the Snap by Groupon app, although there are a lot of different apps out there with similar features. 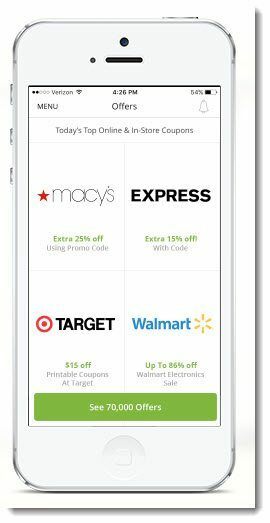 For example, some apps out there provide cash back for shopping at stores like Walmart or Target. Now, if you shop there anyway, using an app like this might make sense because you are effectively getting free money. However, this certainly isn’t income that you can scale very well. There is also a slight risk here. When people are getting rewarded for shopping there is a risk that they will end up spending more as a consequence. For some people, this happens because it is easier to justify spending money when you know that you will get a small proportion of this back. In other cases, people end up spending more to reach the next tier of rewards or to reach a level where they can cash out. As such, you have to be very careful with this type of app. Otherwise, you may find yourself spending more money unintentionally, which negates the entire point of using the app to start off with. Another way to earn money is through apps that pay people for tasks. In many cases, these apps may act as a way to connect buyers with people providing services and the use of a smartphone makes these pretty convenient. Perhaps the most classic example of this is Uber, where drivers need little more than a car and a smartphone to basically act as a taxi service. Overall, it's a fairly simple one and might make sense for people already out and walking around with phones. The amount that people can earn for tasks varies dramatically. In the case of Gigwalker, the range is $3 to $100 per gig, while other companies will have their own ranges. In theory, this does mean that you could make a significant amount of money, however, that would strongly depend on how long tasks take versus what you get paid for them. It’s also likely that you would end up spending time waiting for new tasks or moving locations, so the income you get overall might not be that high. With task-based apps, it's rare that you make a stable income, and quite common to earn less than minimum wage except on rare occasion. These apps were to created to make the users rich by any means. Survey sites are pretty common online and they’ve made their way onto smartphones as well. Generally speaking, these sites will tend to pay relatively little for what you do and the process can be time-consuming. At the same time, you often end up having to wait days or weeks for new surveys, which means that it can take months to reach the point where you can actually cash out. For some people though, doing surveys on a smartphone may make sense. After all, it is something to do while you’re waiting in a line or when you have a little spare time – and the process is more productive than playing a game. At the same time, some apps have other ways for earning money, such as watching videos. The premise is similar here and you tend to earn relatively little money for the time involved. Certainly, this isn’t a good approach for making a decent amount of money, although it can be a way to earn some pocket money if you don’t mind spending the time. There are other types of apps that I haven’t considered in this list, such as ones that pay you to download other apps or to do mystery shopping. However, regardless of the specific type of app, you’ll find that the overall ideas used are very similar from one app to the next, as is the potential to earn money. Perhaps the most common trend across various apps for making money with a smartphone is that you will tend to earn credit, not dollars. Sometimes this can be converted into actual money, while other times you may only have the option of spending that credit. Google is actually a good example of this, as it has an app called Google Opinion Rewards. The app offers surveys in return for Google Play credit. The surveys aren’t available frequently but they tend to be fast to answer, often just involving a handful of questions. I’ve seen the service pay as much as $1 in credit for a single response, although some surveys don’t reward anything at all. Clearly, that app is never going to be a good way to earn money – but it may be worth the effort for people who do use Google Play credit on a regular basis. Having one or a few apps like this on your phone does make sense for many people, as you can earn a little money (or credit) without much work. However, in most cases, you’re going to find that the amount of time and effort outweighs whatever you earn. In other words, if you really want to make some quick money, you'd be better off with a regular job. Even with the best apps out there, you’re never going to be earning a large amount of money. So, you might get enough to go to the movies or buy a treat but you certainly couldn’t consider these approaches a realistic income. Tablets are a kind of a combination of a phone and a computer, so does it change anything about the information I've listed above? Not really in this case. Check out the post I wrote on if it's possible to make money with an iPad to see what I mean. Making Money From A Laptop: It's Possible! What I’ve discussed here so far are ways for making money with your smartphone. But if you have a laptop, or can muster up the funds to get you, you can actually make money from this type of computer. You don't need a super-powerful 3-monitor specialty desktop or any kind of gaming computer. A very simple computer that can just connect to the internet (like a Chromebook) would do just fine. In fact, I ran my entire business on a laptop for the first 4 years of operation. Now I have a nice big iMac since I upgraded last year, but when I travel I still use Windows laptop. I run an online business that makes money with affiliate marketing. If you’re read other posts on this blog, you’ve probably already noticed that affiliate marketing is my favorite technique for making money online and there are some good reasons for this. In particular, I favor affiliate marketing because it’s a powerful technique and it’s something that can be scaled up and become more profitable over time. My first sale was for just $5, for some computer software. I now earn over 6 figures per year and am still growing. You don’t need a product of your own to start with, and building a website is quite easy these days. You are promoting products from other companies and earning a commission for each item sold. I wouldn’t suggest building a website on a smartphone! It's pretty impossible unless you really have a lot of patience. Now, there are probably tools out there that make this possible but honestly, computers provide much more flexibility for website design and make the entire process that much easier. But, smartphones can be used to manage websites, especially when you are away from the computer. As such, they can make the process of affiliate marketing that much easier and more flexible. For example, I answer emails from my phone, send payments to writers and photographers, or check my accounts to make sure payments have been sent to me on time! The first step in achieving success online with affiliate marketing is doing what you're doing right now – research and learning. When I started my initial research in 2010, I stumbled upon an affiliate training center called Wealthy Affiliate. They helped me set up my first website, and I still refer to them for updated training and information on what's working within the online industry. The good thing about this site is that it is strongly focused on affiliate marketing and teaching beginners what they need to know. So, the site is a powerful tool even if you have no idea what to expect or how to make money this way. In fact, many successful affiliate marketers (myself included) started off with no idea about the field but used programs like Wealthy Affiliate to learn how to be successful. Great article. I have tried to make money with so many of these apps. Let me see I have done survey companies. Some are better then others but you can never make a full time income and rarely over minimum wage. I have used shopping aps which again not a job but can provide extra cash if you keep to only getting stuff you already were buying. Then there is Uber. Yup did that too. I mad decent money with that but you put a lot of wear and tear on you car and it has high expenses. So how long did it take for you to start making good money on Wealthy Affiliate? Apps. Making money with apps. The truth is, apps were invented to make money, for the creators of apps. And even with online surveys that run on apps, just like surveys that run on PC, surveys are there with the aim of making money off the user of the apps. So, even if the app users discover there’s a way to make money off using the apps, the bigger picture is, they are the ones being targeted as customers. Yes, we can make money with them, but let us not forget that while enjoying the experience of making money with them, we are the very customers whom the app creators have in mind when they were first creating those apps. I never realized you could make money with a smartphone. Your final recommendation is the best. I’ve made a lot of money that way. After reading your article, I’m convinced it is possible to make money with a smartphone, but I doubt you can make enough to live on that way. Also, I’m very skeptical of making money with surveys. In my experience, most surveys are scams. However, your final recommendation is by far the best way to make a full-time income and more. I’ve never heard of some of the things mentioned on this post. It would be nice to make money from smartphones. The one I will find most interesting is completing tasks especially in between commuting when one doesn’t feel like reading. The instagram idea you mentioned seems like a lot of work especially a it requires a lot of following. I’ve book,marked the page for further reference. It is an interesting concept how many people are using smartphones. As a matter of fact, I am using one now. Smartphones are minicomputers. As for using a smartphone, I have not used it for making money online. For that, I use my PC. I alternate between my PC and smartphone as needed. I heard that 1/3 of people online use smartphones. Lots of great information in your post it was a must read for me, just started an instagram for my blog in hopes of making money from it soon rather then later. I never heard of Gigwalk will have to give that a try every little bit helps. Making money with Instagram will definitely take time…just because it takes time to get followers. You can buy followers, but they’re fake. To get real people engaging on your page takes patience…and then you need to sell them something. So if you’re going the Instagram route, I’d have a few ideas of what you want to promote beforehand. Sometimes, suddenly advertising things can put people off, especially if it’s not relevant! I use my smartphone heavy in my attempts to make money online. Mostly for video and image creating, some apps for analytics and sells. PS I visit WA through my phone every day. Oh! So did you ever make any money doing image editing with your phone? Another idea I had is that you could actually build an instagram account using just your phone. You could then place an affiliate link in your profile and make money that way. Actually, I’m going to edit the post to reflect that idea! Wow, the information you provided was a real eye opener for me. I never knew of how many opportunities there were within your smart phone. You provided very thorough information, and I can officially say I was interested and am going to look deeper into this opportunity. I’ve learned a lot from your post and have gained much more knowledge on how to promote and be more informative in my website. I look forward to future posts, and I wish you the best. Hi, I didn’t know I can make money with my smartphone. This is new to me, well I guess I am a little behind 🙂 I kinda like surveys and used to do them back in the days just for the fun. Great that the pay off even when it’s not much. I like your page, great motivation. I just started my own internet business and hope it will be successful. I prefer working with my laptop… Thank you for the information. Yes, you can definitely combine multiple ways of earning money online. Isn’t multiple streams of income the dream? Hi Nathaniell interesting article about making money with your smartphone. I always try to find ways making money online and your way about apps looking pretty good and its nice that you show all the aspects of it. Really useful information i m really glad i found and read your article !!! Glad that I could add to your list of possible ways to make money online Xristina! I’m interested in knowing your transitions in doing online business. I believe there would be struggles in starting to monetize your first website. Are you still running and making a living off that initial website or did you learn the lesson and move to a niche that you are truly passionate about? I moved to a new niche that I was more passionate about and that I had more long term interest in. I think I hit the books too hard on the first one and got kinda burned out! This is an amazing read Nathaniell. I’ve always known about making money using Uber (am an on/off driver), but the gig and survey apps are totally unknown to me until I read this article. If only these apps exist during my college years…. On the other hand, the affiliate marketing route is would be much more profitable than any apps can give you. I’ve driven Uber part time and while it did give me some needed extra cash, it’s very tiring. In terms of profit, affiliate marketing blows survey apps out of the water. I guess it would be easier to do surveys while you’re waiting for your next customer on Uber though! But if you were really into affiliate marketing, you could get a portable router/cellular device (available at Verizon, etc) and you could connect to the internet using your laptop in your car. How about that? A mobile online business! Great article and I have been thinking a lot about how I could use or leverage mobile devices as, if not now, certainly soon more people accessing the internet using only their phones or tablets due to the explosion of smart phones and the fact that the vast majority of the human race can’t afford their own computer (Asia, Africa, central and south America this is certainly the case). Having an app, as a business owner can certainly increase your exposure and thus get more affiliate sales when people check out the app on the fly while at work, subway (or whatever) and perhaps click that link and make a purchase! Yeah, it’s crazy to think of how “connected” we are in the wester world, but how many countries haven’t reached that level yet! In 10 years, there will be millions more people online and shopping, and we’ll be even more plugged in. Even now, people are doing grocery shopping online which was unheard of just a few years ago. It’s a fantastic time to get involved in online marketing, but you do need a computer to do it properly! Thank you for giving us this very useful information on how to make money using the various apps available. I struggle with technology and especially the way it evolves pretty faster. I have shied away from trying the use of apps to make money online, I have however made little on surveys but from my desktop. Guess it is time to try the apps via the smartphone to see how it goes. I love what am learning at the Wealthy Affiliate, and it goes a long way when you guide us, to have patience and give it time to be really productive/successful before we quit our day jobs….It is important to let people know on the TIME investment as it were to avoid thinking that we shall wake up tomorrow rich! That’s interesting. I didn’t know people were doing surveys on smart phones yet. My personal thought though is that one day, relatively soon with the way technology is progressing, smart phones are going to be a thing of the past. Its always had me curious to think what the future holds for marketing and making money online. Even the internet itself can evolve into an entire new creation which then marketing would be revolutionized in a whole other way. Be real with me, if I were to sign up or follow along with a program, how long could it potentially be until i can look at it as a full time job? I’m already pretty good with building decent websites, but i don’t know squat about marketing and all that jazz. That’s a pretty crazy idea but I think you’re right. Everyone worships their phone right now, but since technology is progressing so fast, it’s not that weird of an idea to think that we’ll have something a lot more intuitive, useful, and “smart” than the phones we currently have. As far as online marketing becoming a full time job? I think you’ll need to put in at least a year of work. For me I was making good money after about 12 months but didn’t quit my job until 18 months. After a year or two if you’ve been diligent the whole time, you pretty much know how things work and can focus on one project that’s been somewhat successful. Before that, you have to deal with doing training, and constantly wondering if you’re doing things right. Many people, including myself, get distracted with side projects and other things that pull us away from our main successes. But as with anything else, the more you learn and engage, the better you become! Hey Nathaniell, thanks for the summary. I wasn’t previously aware that there were apps that you make you money, but after reading your article, it doesn’t sound like the greatest way to make a living. I’ve been dabbling and affiliate marketing as well, and although I’m fairly new at it, I am very happy with my success so far. There is definitely potential there for a full time passive income. If you have and tips to share with me, I would be all ears! Thanks! The concept that I keep trying to drive home is that if you are going to be spending time researching and messing with these things, why not try to do something legitimate from the beginning. Rather than try to find “the easy way” or “the fast way”, do it the right way and you’ll be surprised at the crazy results you can get in just a year or two. Realistically, two years is a tiny fragment of your life, and if you can spend that time learning how to build a business and support yourself, you’ll be able to use that skill and income for the rest of your life! I found your article very interesting due to the fact that I did not realize a person could actually make money when using apps on their phones. You definitely give your readers options that they can use to make money. I love the fact that you give your readers a greater option to have their own sort of business with the wealthy affiliate program and I have to say congratulations on your success with making over six figures. I will bookmark your website so I can keep up with everything you are doing and learn as I build my own business. True, you can make money, but the question is, “how much money?”. Then I guess the answer would be, “not very much”! LOL But the good thing about learning how to make money with your smartphone is that if you really get into the idea and want to do more, it’ll lead you to more opportunities out there. I know that my first venture into the world of making money online was also cheesy and eventually unsuccessful. But in the end, it lead me to get legitimate training and end up starting a few successful websites online that now earn me significant income daily! Thanks for the interesting info about making money with the smartphone. From your article I can see that it’s mostly by using different apps. Can you make some serious money in this way or just some extra a little money? Is it worth the time? I’m also a member of the Wealthy Affiliate which I saw that you recommend and I think that learning how to make money as an affiliate can be much more profitable than making money with a smartphone. You won’t be able to make serious money using an app because it’s just going to be task based work. You’ll make a few pennies, and maybe a few dollars if you do it over a long period of time If you seriously want to learn how to make money, you need to learn how to build a website and start a business. Very interesting article on making money with your smartphone, I like how you explain so clearly in simple terms about this concept of making money with your smartphone. You seem very wise on this topic of making money online, have you experienced personally making money with your smartphone? What is the best method in your experience to make money online, can you recommend any in a article in th future? I haven’t actually made money with my phone, which is why I wrote this article to steer people away from it. It’s just one of those things you read about, that sounds attractive, but isn’t really realistic. My recommendation for how to start your business is in the last paragraph of the article! Apparently there are many ways to make money online, whether using a smartphone or laptop.Those that are quick to earn, offers little in amount and may use too much of our time. Building an online business, probably takes longer. As you probably won’t be seeing much success initially. But I guess it’s worth the effort in the long run. It’s very true that building an online business takes time to see results. Even if you do it the right way, it could take weeks or months to start seeing results. That’s why a lot of people end up quitting in the beginning. It can be tough to keep on working while you’re not seeing money roll in! I know the frustration. But that’s how a lot of folks get stuck in scams like trying to make money with their smartphones. It sounds easier, but it’s just not possible (as a business). I can certainly see how some people would make money using a cell phone as you pointed out. The amount of money would be small for the time and work required to earn it. I agree with you, and having a proper size keyboard like a laptop or computer is what you should have to work with to do your recommended method. Having your site to work from would give you better options as you said in your article. Especially being able to get proper training from Wealthy Affiliate to make it happen. Being able to work from a proper sized computer is vital to being comfortable and getting work done. As we speak I’m doing the bulk of my work from my laptop and I seriously feel less productive than when I’m in front of my iMac getting work done. But I don’t have a choice – my gf sprained her knee so I have to play caretaker LOL. But I can’t imagine what it would be like to run my business from my phone. Crazy! You can pretty much make money from doing anything with today’s technology. There are even photography apps where you can earn cash for submitting your own pictures. I actually signed up for one not too long ago but haven’t really given it a chance yet. Thanks for the article, Nathaniell. Oh, cool! if you get a chance, try it out and see how it goes. We’d love to hear back. For me, I can’t imagine that you can make serious money from just your phone. Real money takes real work. Casual money takes casual work. That’s been my experience!